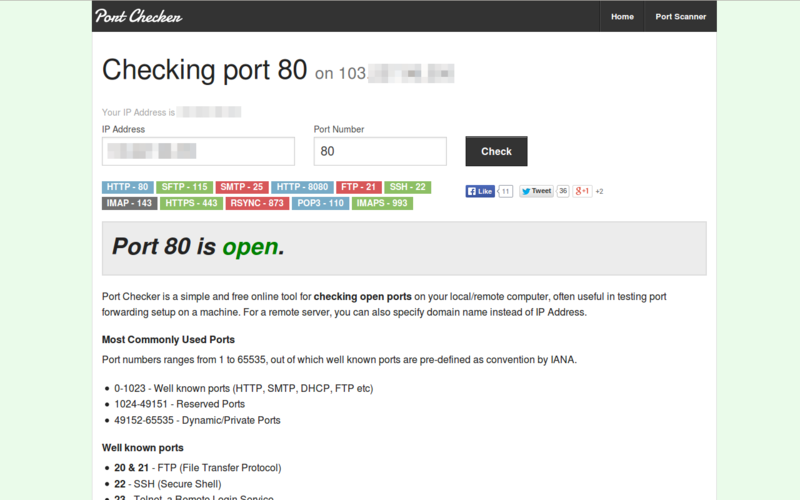 Few weeks ago I created a tool : port checker – that checks for open ports. It’s a simple web app built using Sinatra (a lightweight framework in ruby) and Foundation (an advanced front end framework), over a weekend. It simply checks for open ports on your computer (useful in testing port forwarding setup or security reasons obviously). You need to specify the port number and IP Address (optional, it selects the origin IP by default, so it’s not required unless you want to scan for other device or server IP). 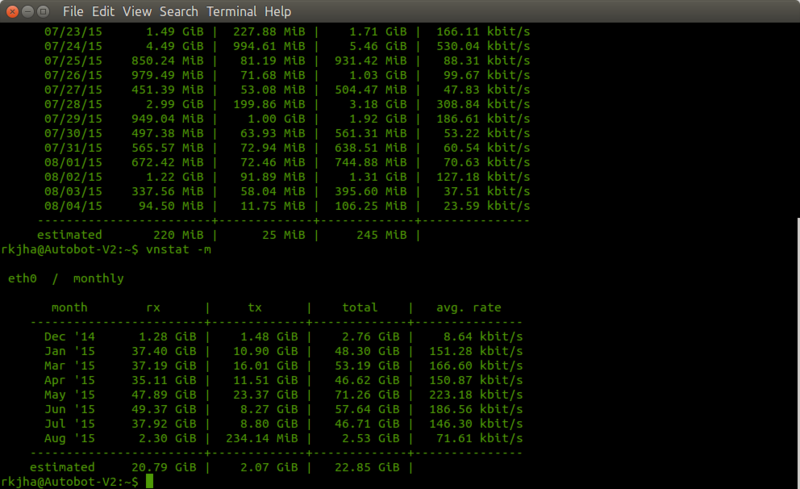 Then it tells you whether the port is open or closed. Note : It’s a web app intended for casual use. If you need a more comprehensive tool for scanning ports or security audits, then you should check out Nmap (or Zenmap if you prefer to use graphical interface over the command line), a free and open source tool for network scanning. PS If you find the tool useful or have any suggestion/feedback, let me know via comments. In fact Ubuntu 10.04 or any other Linux based systems are not so vulnerable to viruses and worms because most of these malicious programs were developed for windows platform with .exe executables so they are harmless for ubuntu 10.04.One more fact is that,Ubuntu(or any GNU-Linux OS) security policy and strategy is very secure as compare to other operating system like windows and mac.So If you want to install antivirus software for scanning other media or other drives then Avast Antivirus is a good choice. Avast antivirus has many edition like FREE,PRO and others but FREE edition is sufficient for common Internet users. 1. Download avast(FREE Version) from its official website(click below on the download link and then a window will appear-save the .deb file on your computer). 2. Go to download(or other location where you have just downloaded the avast debian package );Then Open avast4workstation_1.3.0-2_i386.deb with Gdebi package Installer and then click on install Package. 3. Wait until the installation is complete(it will take less than a minute). 4. Now to use avast you will need a valid License Key(Click below and register,they will send you a valid license key by e-mail within 24 hours). 5. After getting the key, Go to Applications->Accessories->avast! Antivirus and enter the license key. 6. That’s All…Avast is installed successfully on your ubuntu 10.04. ARF i.e Advanced Recording Format is a format recorded by NBR(Network Based Recording).For Ubuntu or other Linux versions currently no player is available which can play .arf files i.e WebEx(Player used to play and convert arf and wrf formats) is not supported on Linux based system or Ubuntu 10.04.That’s why to play arf file only one option is available and that is to convert the arf format to mp4 or swf or other simple formats.So you can use a converter tool “NBR2MP4” to generate mp4(That we can play Using VLC player) file from arf. NBR2MP4 is a simple tool and converter that can be used to convert arf formats to mp4 formats.You can install it from command line in few steps(It’s very simple). 1. After downloading the nbr2mp4.tar file,extract it to any directory e.g extra_softwares.It will create a directory nbr2_mp4 and a script file nbr2mp4.sh. When it will ask “Type the directory where you want to install….” then just hit enter to install in the current directory(extra_softwares). 4. That’s All…You have installed the arf to mp4 converter successfully..
Where SOURCE means the name of the arf file which you want to convert and don’t forget to specify pathname if it is in the different directory.MP4-DIRECTORY stands for the output file i.e filename.mp4,it’s name will be same as arf file except the extension of .mp4(Use ./ to generate in the same directory as of input file).In FPS(Frame Per Second) field you can specify between 3 to 10(Default value is 5).The quality of the mp4 file(output file) is directly proportional to the FPS.